I love the season of Thanksgiving. There is so much to be thankful. I try to teach my children to not take advantage of even the little things that we should be thankful for. Today, we are reflecting on our health. We are thankful to be able to run, play, have conversations, give hugs and help others. at checkout. Please make sure the code is reflected before you complete your order, no refunds will be given. 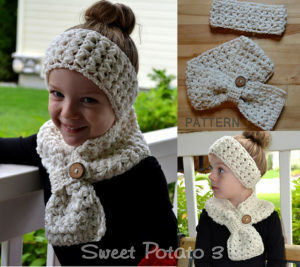 The Cross My Heart Headband and Scarf Set by Sweet Potato 3. 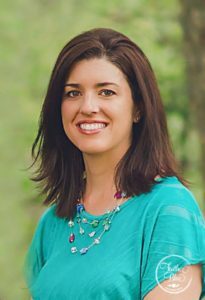 The Cross My Heart Set reminds us how important it is to keep our heart healthy, both physically and emotionally. 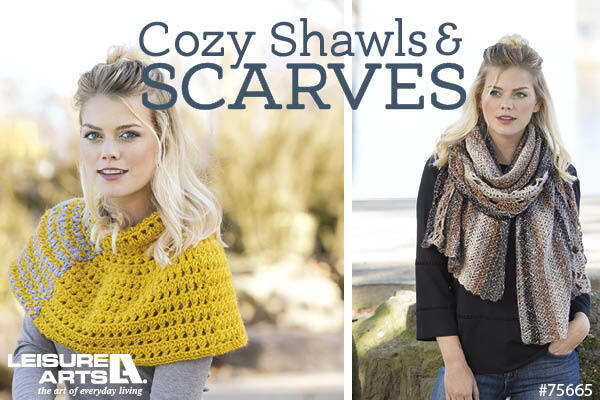 This adorable pattern comes in sizes for toddler, children and adults. Super Animal Scarves by Snappy Tots are simply too cute not to make. 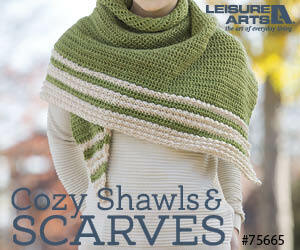 Spreading good health with all those warm hugs that these scarves will bring to those who wear it. 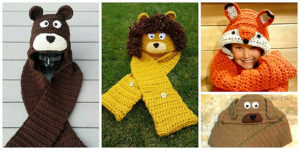 You just have to decide is which adorable Super Animal Scarf design to make: The Lion, Bear, fox or Puppy. 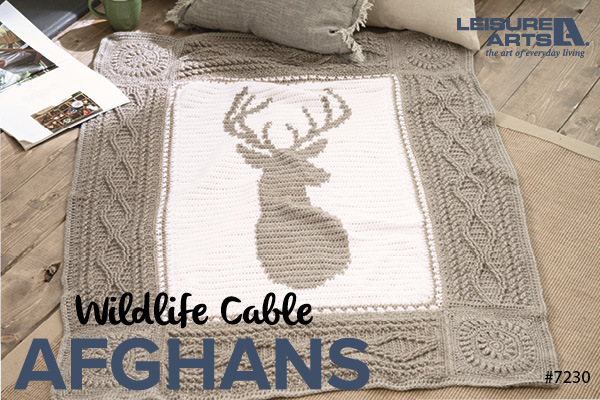 Heartbeat Chevron Afghan by Crafting Friends Design is perfect to snuggle up in. 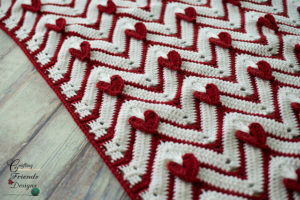 The ever popular chevron design is beautiful alone, but add the hearts and it is perfect. Cheer up and warm up as you make the Heartbeat Chevron Afghan this holiday season, you are sure to make someones heart patter. Awareness Ribbon Afghan by Ambassador Crochet. This one speaks for itself by bringing awareness within its design. If you know someone who has battled cancer, this is sure to bring them warmth and appreciation for the design of the Awareness Ribbon Afghan. 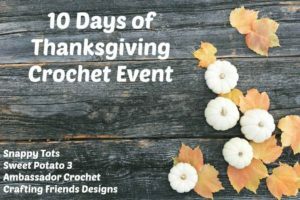 I hope you have enjoyed the 10 Days of Thanksgiving Crochet Event. 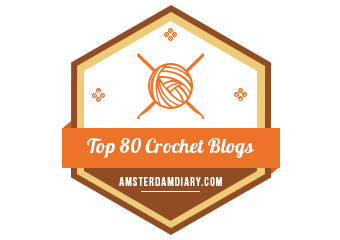 Make sure to follow along with Sweet Potato 3, Snappy Tots, Crafting Friends Design and Ambassador Crochet for 7 more days of crochet fun. Today happens to be my Birthday, and we have been celebrating for a week at my house. This isn’t just any old birthday, I am turning 40 today, and my family is making a really big deal about it. at checkout. And if you decided you should have added another pattern to your order, feel free to come back for more and use it as many times as you like. 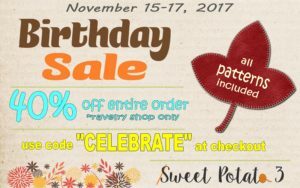 Make sure to use code “CELEBRATE” at checkout to get 40% off your entire order. Thank you for celebrating my big day!